I recently wrote an article about where to go and what to see in Old Town San Diego if you are a first time visitor. You can find the article here. It mentions my recommendation for a hotel: The Cosmopolitan Restaurant and Hotel. We loved it, and I wanted to give you more details. The history of the hotel is a fascinating one. It has literally taken on many shapes and sizes with portions dating back to the early 1800’s. It has served as a private residence, hotel and canning facility (hard to believe that one). 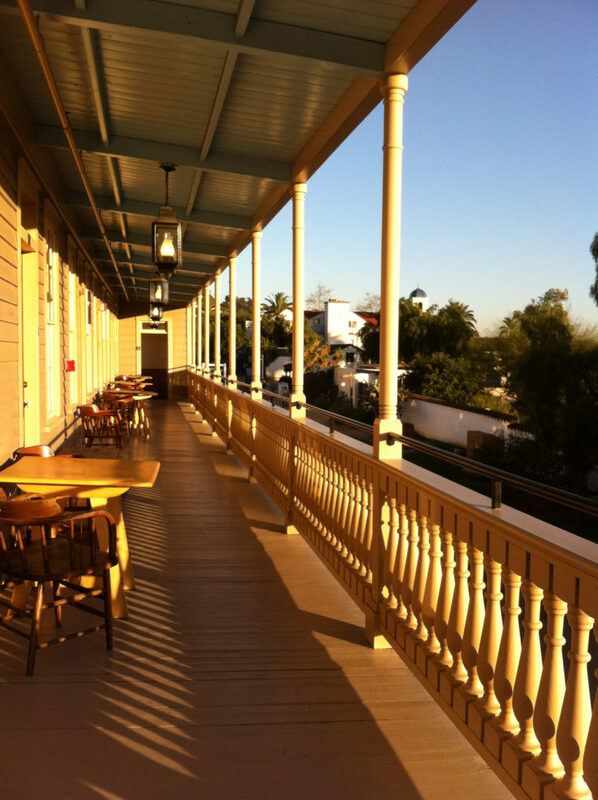 But its restoration as a boutique hotel shines. Not only did the work literally receive awards, but it’s hard to believe that everyone who stays there doesn’t feel like they have taken a step back into time. 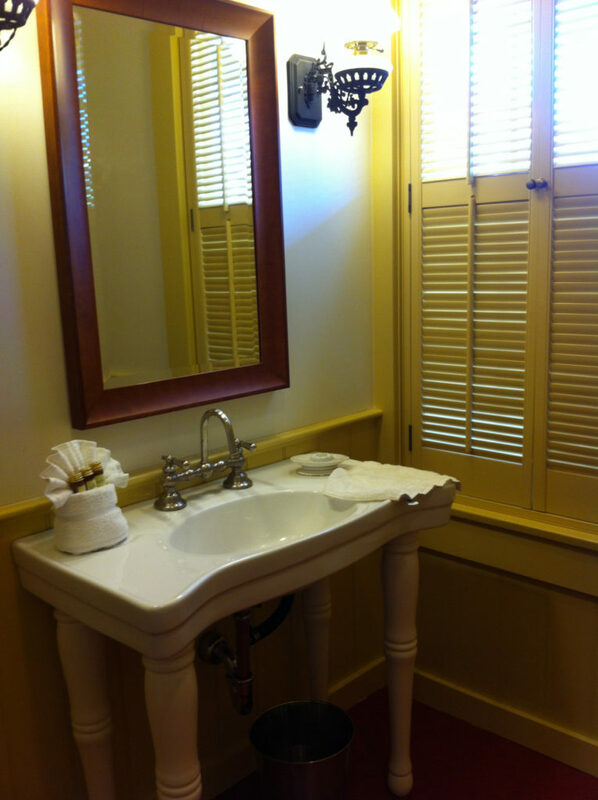 Each room has been done to resemble what it might have looked like in the mid-1800’s. 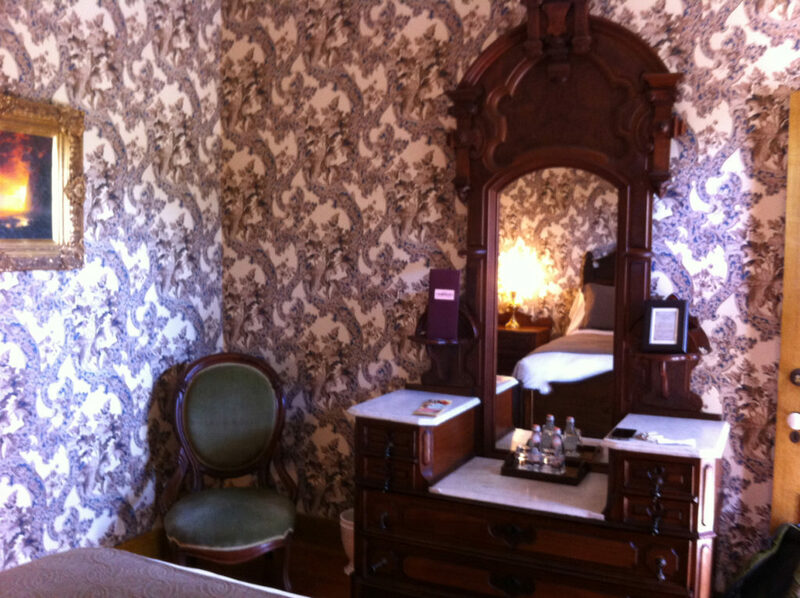 From the furniture to the linens to the wallpaper, the rooms have been recreated using period specific details. Though I’m happy to report that they did insert some modern amenities like Wi-Fi and climate control. 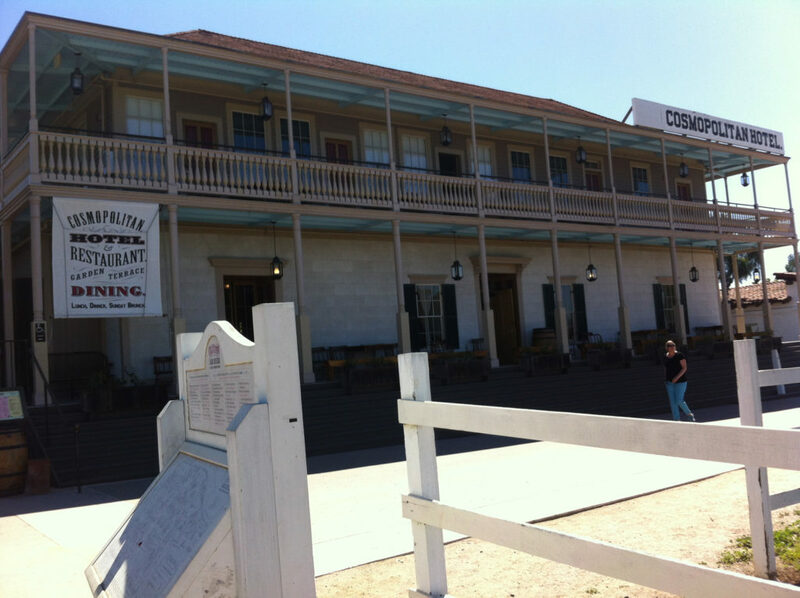 It is within the Old Town San Diego Historic Park. It is easy walking distance (even for reluctant walkers) from the shops, museums and restaurants, and parking is included (bonus points). It’s also said to be haunted. No, really. Not only did our waiter mention that Ghost Adventures did a show there (I must find this episode! ), but we read stories about encounters people claim to have had in the very room in which we were staying. Alas, we cannot confirm any ghost visitors while we were there. How did we read these stories? 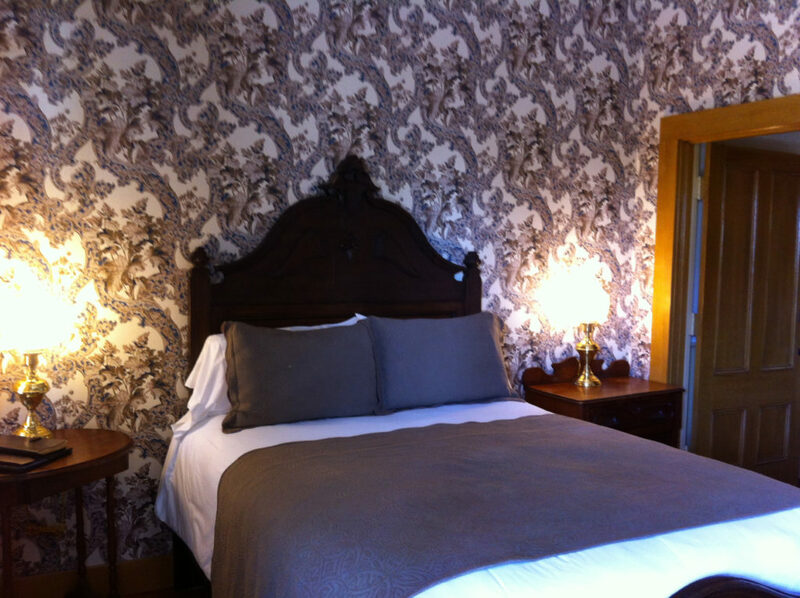 Each room has a journal in it, and they welcome comments from visitors to the hotel. I spent nearly an hour reading about the travels, thrills and illicit adventures of the people who had visited – oh, yes, people overshare as much in these journals as they do on social media. Still, the journals were page-turners. The hotel offers a number of different packages that you should investigate. We chose a “Wine & Dine Package” which ended up being a delightful treat. Not only did they give us a $20 coupon to try Barra Barra Saloon for lunch (other restaurants are also included as possibilities), but they also gave us a free bottle of wine with dinner at the Cosmopolitan Restaurant that night. Both are fantastic spots, and getting that extra perk as part of our stay made us enjoy the place even more (and helped stretch those travel budget dollars). 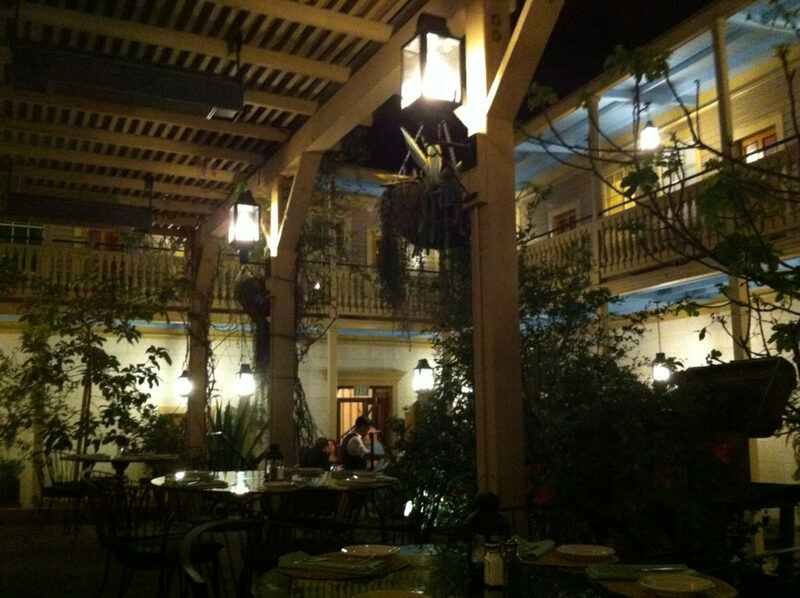 As for the restaurant, we opted to eat outside under the patio twinkle lights. There was live music playing, and it seemed like quite a popular spot for people visiting the area. There is indoor dining, as well, in gorgeously done rooms.